Mads: I doubt Arrow will go there romantically, unfortunately, but the chemistry between Harkavy and Cassidy is insane. There is some charged tension between them in this scene and I love the way their relationship has been developing. Their scenes together are my absolute favorites this season and I love that Dinah truly believes Laurel has grown and changed and wants to help her stay on track. Mads: I loved the slow reveal of Arquette’s transformative performance as Tilly, how the camera frames her from behind and then pans around. Pretty confident she’s going to win an Emmy for this role. Justyna: It was a great hour with many memorable scenes but the story that stood out for me the most was Nora's return. She had a few powerful interactions with both Constantine and Ray, reminding me of that young girl the team was trying to save last season. I was considering selecting one of the conversations between Nora and Constantine (about making her own choices and not being afraid of her powers) but in the end I decided to highlight the scene where she turns herself in, a result of everything that's happened to her during the hour. Ray offers to help Nora escape one more time, admitting that he cares about her and wants her to be free. In response Nora uses the time stone to transport the two of them to the Time Bureau and chooses repentance as her path to true freedom. It's clear how difficult this choice is for her but it's also a proof she did listen to Ray and Constantine and she truly wants to change, finding something good in her powers, rejecting the evil and no longer being afraid. I found myself really interested in this redemption story and rooting for Nora when I least expected. Wonderful work by Courtney Ford and Brandon Routh during the scene. It was emotional, powerful moment, a turning point for Nora, hopefully a new beginning for a great character. 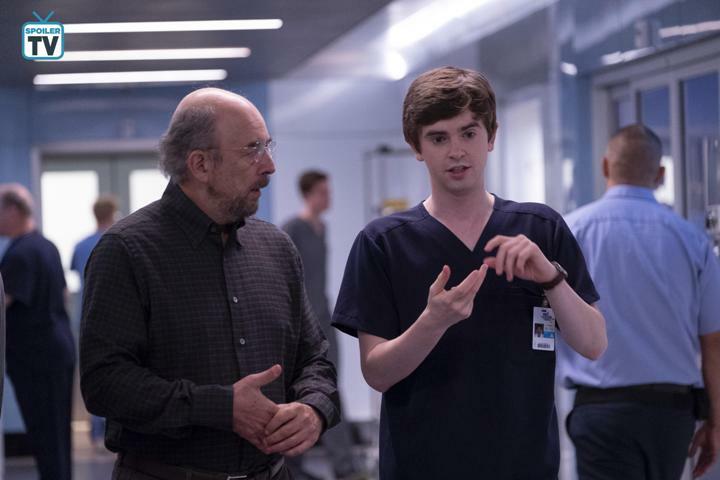 Kudos to cast & crew for all their work! Klutzy girl: Ray tries to help Nora escape but she uses the time stone to turn herself into the Time Bureau. Ray telling her that he didn't care what the team thought but he cares about her absolutely killed me, as did Nora telling him to be free, she needs to repent. I'm excited about her redemption arc and where this relationship is heading! Giulia: It was really heartbreaking to watch. That's all I have to say about it. It's a scene that you can't explain, you just have to sit and watch it 'till the end. Justyna: This is such a wonderful show. I've been really enjoying it since the start and there are so many stories and characters that I found myself rooting for, probably no one more than Max. Once again he's at the center of several fantastic scenes but since one of them is already included in the article, I decided to highlight a completely different yet just as powerful moment from the hour. This one is not focused on any of our main characters. Iggy is certainly present in this scene, but he's mainly a supportive and good listener here. This part is all about a young girl named Amy. Amy is admitted to the hospital after she almost kills herself, walking right in front of the subway. It's a true miracle that she's still alive but when it becomes clear that she's suffering from depression, she struggles with the reactions of her family to the news. That's when she opens up to Iggy and tells him about the hardest part of her day, getting out of bed. It's absolutely heartbreaking to hear, so painfully real... "I think maybe I shouldn't even try." This one hits especially hard. Amy's mom shows up just in time to hear her daughter admit that she needs help and finally comforts her. Such an emotional, moving and true story. 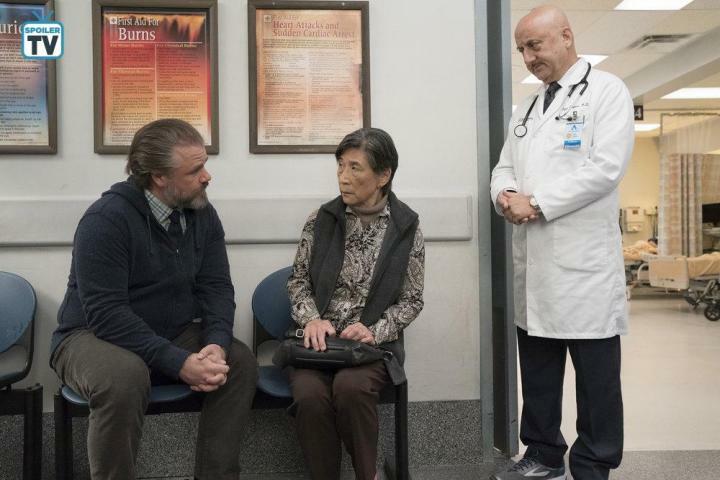 Wonderful work by Poppy Liu and the entire cast & crew involved. Mads: Max admits he's scared about having cancer. Eggold has been doing excellent work as Max Goodwin. 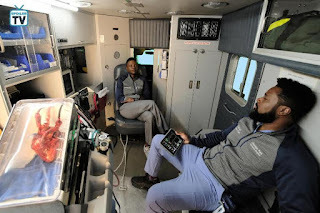 This episode is no different as we finally get Max’s heartbreaking admission that he really is scared and still grappling with a difficult choice pertaining to his treatment options. DJRiter: While I loved Supergirl and Spike, this proud moment when Director Danvers stood up for herself telling Haley that she trusted her instincts and would continue to trust her instincts because that’s what made her a good director was a standout moment for me! Yes, it does! 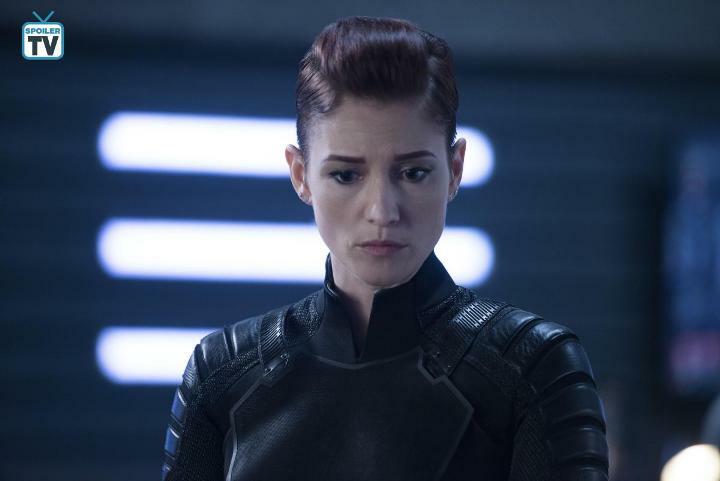 Chyler Leigh continues to grow as Alex Danvers and this stronger, more self-assured woman coming into her role as Director has been one of the best parts of the very solid season 4 of Supergirl. If possible, Alex has become stronger and braver than ever. Zandarl: Supergirl vs. the dragon, which was a metamorphosis of beloved pet Spike and in the end she talks him down. Loved this crazy fun scene. Justyna: I remember back when Killer Frost storyline started I had mixed feelings about this idea. 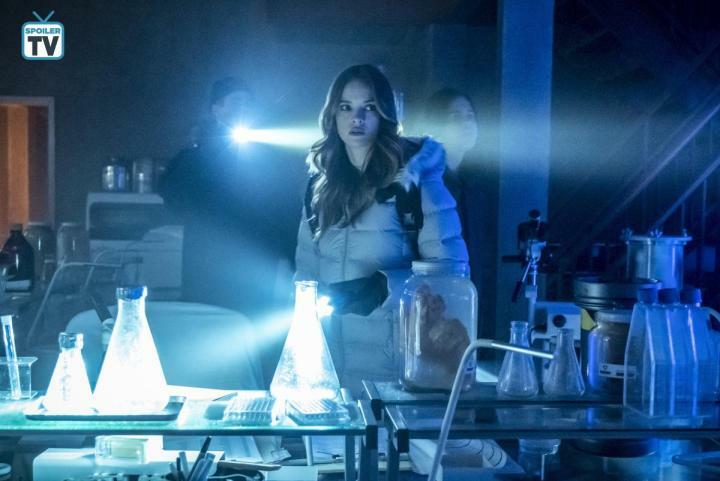 But over the years Danielle Panabaker and the writers have developed both of her characters so well that it was absolutely great to see Frost return this week. Not only Caitlin's alter ego shows up after a long absence but she appears just in time to save Team Flash. She returns as a hero, not a villain and chooses her true family. Caitlin is able to break through the mental block put in her mind by the Thinker and is reunited with the other half of herself. 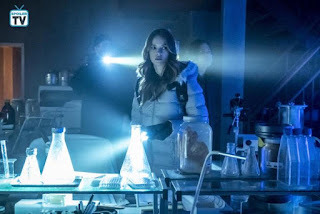 During the episode we also finally learn the origin of Killer Frost and understand what her presence means for Caitlin, she's her cure for ALS and a friend she never expected to find. 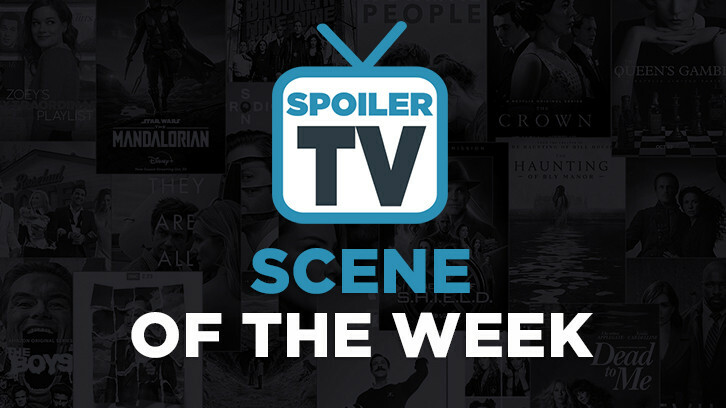 Of course the special effects in the scene are wonderful, the slow transformation from Caitlin to Killer Frost, as well as the display of her powers make quite an impression. It's the moment that the we've been waiting for since last season and it did not disappoint. Kudos to Danielle & the crew for all the great work. 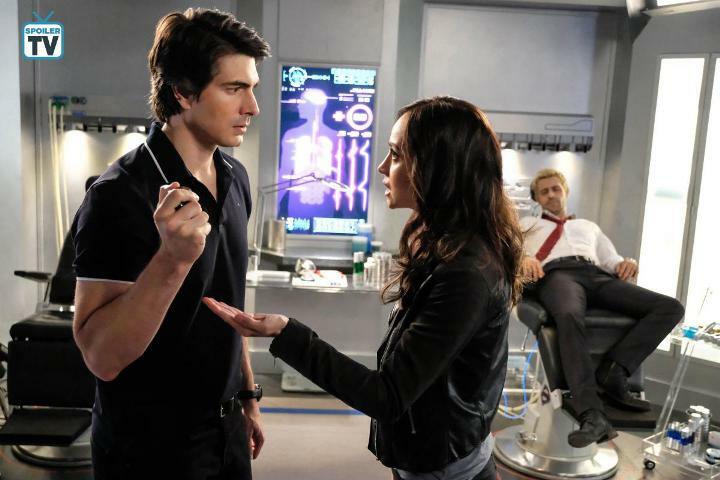 Diana: Barry tries to reassure Caitlin about her father. He says that if she's happy, he's happy. But Barry wants her to know she's his family too. I'm glad Flash writers finally decide to do an episode like this. I've missed Barry, Caitlin and Cisco as the original team Flash so much. And I hope to see more of that. DJRiter: Danielle Panabaker has been doing excellent work with this storyline. While the scenes of her reunion with her father were amazing, the highlight of the hour was the return of the repressed Killer Frost. Luana: This scene was so heartbreaking, Shaun knew he had to catch him off guard so he started asking personal questions and you can see how defensive Aaron gets, he's clearly in denial about losing his memory and then the realization that he had forgotten something so important to both of them hit him hard, he looks so distraught and ashamed, and Shaun had conflicting feelings as well, he even seemed a little bit offended by Aaron forgetting his brother's name even though he was clearly sad for his friend. This is not news, but both Freddie Highmore and Richard Schiff absolutely killed it here. Luana: I did not see this coming, I knew something dark would be in her past, but I never expected something so tragic and recent. Austin's reaction was perfect as well, you could tell how shocked and devastated he was for her and yet neither of them is an emotional person so it all relied on such subtle expressions, wonderful job by both Shaunette Renée Wilson and Malcolm-Jamal Warner, I can't wait to see more of these two now that they're properly working together as partners. Klutzy girl: After Miguel's kids insult Rebecca, he stands up for his wife and calls them out. It was amazing. The last bit of dislike I held for the character is now gone too so that's pretty great.